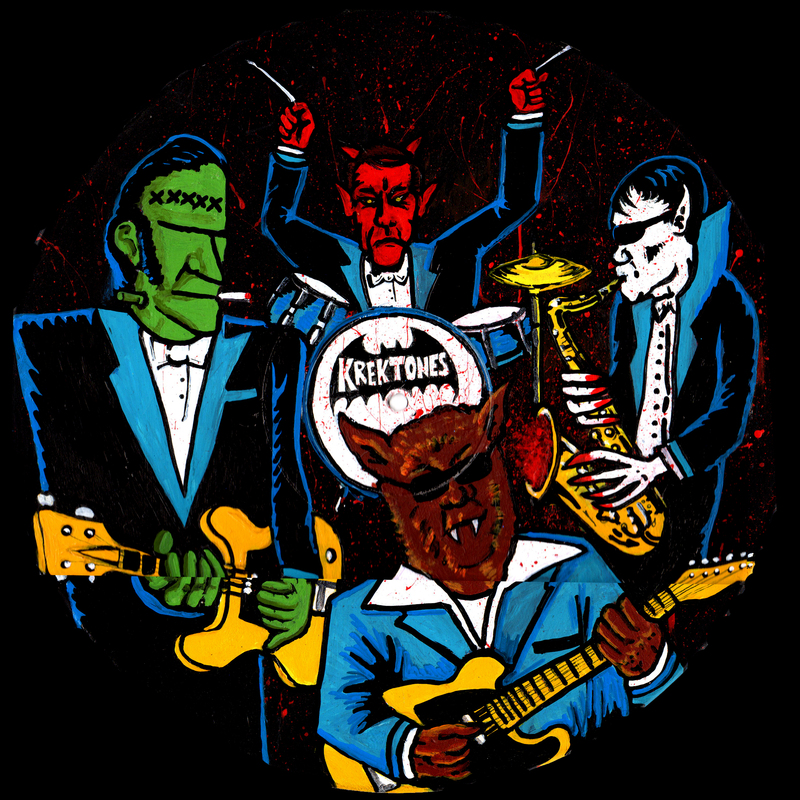 Here is a painting I did a couple years ago for my band The Krektones (instro-rock-n-roll). This shows our alter egos! We are playing in Asheville tonight at the new Mothlight! This entry was posted in Uncategorized and tagged art, Asheville, B- mOvies, creature, folk art, frankenstein, genre films, Halloween, horror movie, hot rod, instro, monster, monster art, painting, rock n roll, surf rock, vampire, ventures by Jason Krekel. Bookmark the permalink. these Alternative Egos are some of Rock-n-Roll’s most Wooliest Characters!